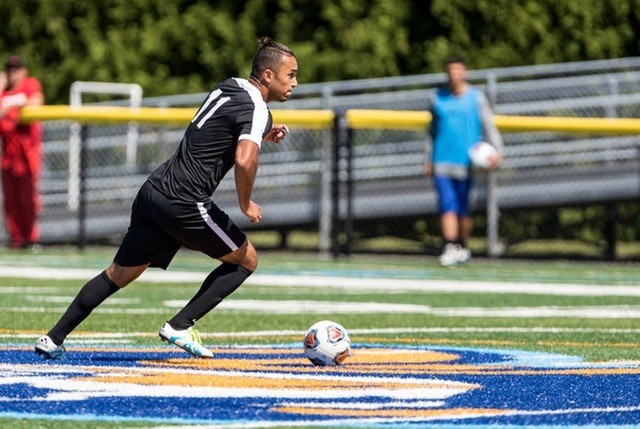 FRAMINGHAM – The Framingham State men’s soccer team has been predicted to finish third in the 2018 Massachusetts State Collegiate Athletic Conference (MASCAC) men’s soccer standings as decided by the eight coaches from around the league. The Rams grabbed 31 points to land in the third slot after posting a 4-3 record last season during league play. Coming back for the squad are 1st Team All-Conference honorees Isaac De Souza (Sao Paulo, Brazil) and Ken Stahovish. De Souza was second in the conference in goals with 15 and points with 33. Stahovish led the Rams with 10 assists while adding 10 goals for 30 points. Regular season and tournament champions Salem State have been picked to repeat this season receiving six first place votes for 47 points in this year’s poll. Earning a first place vote with 40 points for the second spot is Bridgewater State. The Rams took the third spot while Westfield State and Worcester State tied for fourth with 30 points apiece. Sitting in sixth with 28 points is Massachusetts Maritime and rounding out the 2018 preseason poll is MCLA and Fitchburg State in seventh and eighth, respectively. The Rams open the 2018 campaign on Friday, August 31, when they host UMass/Dartmouth for a non-conference matchup slated for noon.